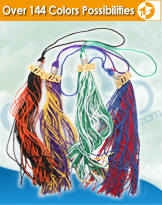 Gradshop carries a range and mixture of one and two colored graduation tassels as well as other variegated colors to provide you the perfect solution for your commencement. 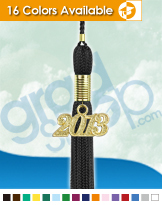 Your grad tassel is one item you should not be without at your graduation ceremony. 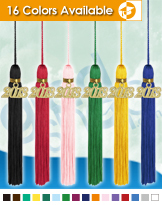 Our Graduation Tassel departments include Pre School Graduation Tassels, Kindergarten Graduation Tassels, Elementary Graduation Tassels, Middle School Graduation Tassels, High School Graduation Tassels and College Graduation Tassels. 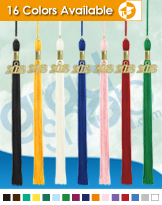 Sort through our tassel graduation shop and find cheap and affordable graduation tassels for your ceremony.